“Why. God? Why?” I cried out in anguish when I heard the news that my aunt had been diagnosed with an aggressive type of breast cancer. It was August 2008, and this unexpected news shook our entire family to the core. With my aunt – all treatments complete! Toward the end of her treatment, I called my aunt once again to ask if she needed anything. I specifically remember telling her “I don’t care what it is; I’ll do anything you ask.” Her reply surprised me. She responded in a tear-choked voice “Go get checked. Call today, and make an appointment.” Dozens of reasons not to call flooded my mind – I’m only 39; I don’t want to; I don’t have time; why would she ask me to do this; – but because she asked, I called and scheduled an appointment for me and my best friend. It was February 2009, and our appointments were made for May 2009. Tuesday, May 5, 2009 was a cool, beautiful, sunny day. My best friend and I left home early for our appointment, which was two hours’ drive away. We took the scenic route, and marveled at the beauty of the foggy mist rising from the Appalachian Mountains. We were looking forward to lunch and shopping after our appointments. We arrived a few minutes early, so sat in the car checking our phones, hair and makeup. A girl’s got to look gorgeous when she goes to the doctor – especially for that kind of appointment. I finished primping, and sat waiting for my friend. The warmth and light of the early spring sun filled the car, and I felt such perfect peace and calmness. I wasn’t worried about the appointment at all, but silently prayed “I am not afraid.” I literally felt wrapped in peace. Silly moments with my daughter. We didn’t have to wait long before the nurses called us back. My nurse was kind, friendly, and completely efficient. Her voice never gave anything away, but when she took more time with the ultrasound on one particular area, I knew she had found something unusual. Confirmation was given when she said “The doctor will need to see this.” The doctor came in and explained that she would be doing a biopsy. A different nurse would be assisting her, and she went to get my friend, and then took us to a quiet, private room where my sweet friend held my hand and prayed for me. 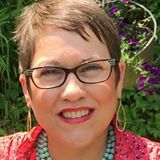 Twenty four hours later, I learned I had Stage 2 breast cancer, and later I learned it had spread to my lymph nodes. There were so many decisions to make – overwhelmed doesn’t even begin to describe the way cancer made me feel; however, through faith, family, friends, church family, coworkers, and my students, I survived. No – not survived – I have thrived. 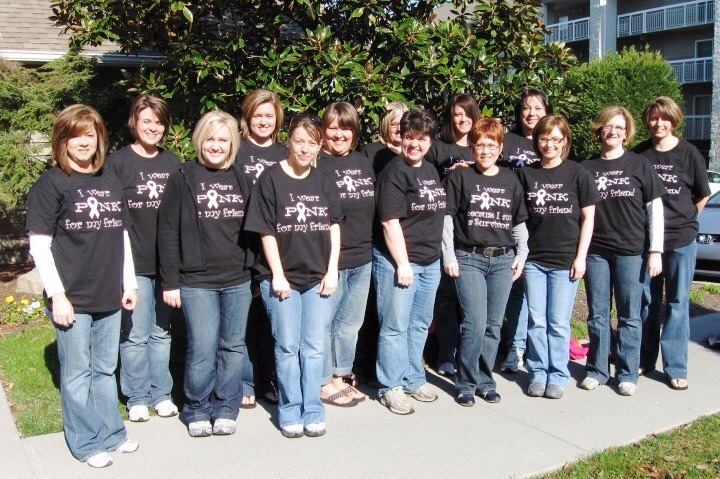 My church family surprised me with these shirts on a Girl’s weekend. Talk about feeling loved! Cancer has taught me so many things. I even believe the disease has been a blessing, because now I truly understand how short and precious life is, and that ‘the little things’ are actually the most important – laughing over the silly things, smiling, hugging, taking one tiny moment to help someone, appreciating every single rain drop, sunny day, and flower – those are the things that matter. Without the lessons of cancer, I would not have had the courage to try something so new, and would have missed out on so many blessings. Oh, there are so many blessings! 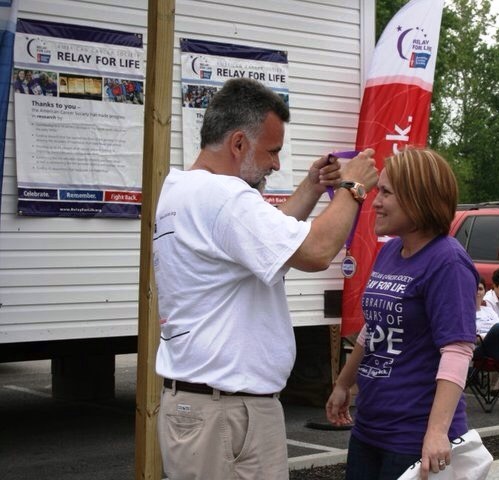 My first Relay for Life, just one week after diagnosis. I often think that conversation with my aunt was my biggest blessing. She saved my life. 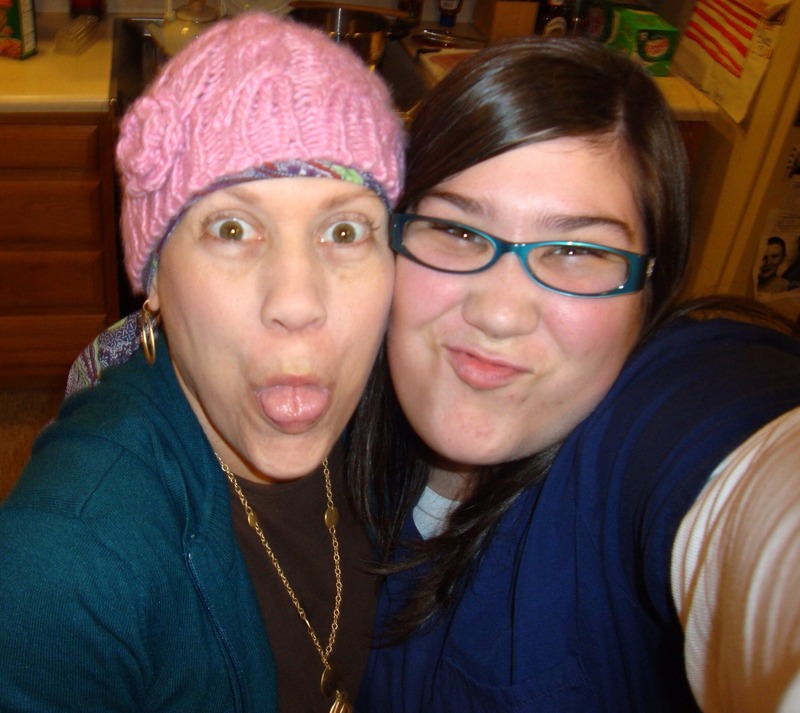 At the time of her diagnosis, I questioned why she had to have cancer. God answered my question in May 2009. If she had not been diagnosed, I would never have made an appointment, and might be just another statistic of a life taken too soon by undetected cancer. Why did my aunt have to have cancer? Because of me – I am her reason why. So, I am asking you – please go get checked. Call today. Maybe you are my reason why. Lisa, thank you for sharing your story. God’s continued richest blessings upon you, as you glorify God and help others who walk in your path. Bless you. What a touching story. I had lost my aunt to breast cancer 10 years ago and I still find myself asking the “Why” question. But I know deep down her why was for the pregnancy of her daughter. My cousin had tried for three years and had all sorts of issues. It was until a week after the passing she found out she was pregnant with her beautiful baby girl. That was the “why” to give my cousin the life of a daughter she thought she could never have.